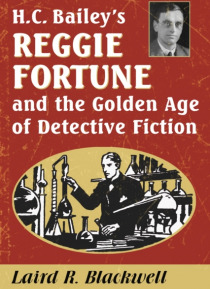 i H.C. Bailey's detective Reggie Fortune was one of the most popular protagonists of the Golden Age of detective fiction. Fortune appeared in nine novels yet it was in a series of 84 short stories that were published from 1920 to 1940 where he truly shone, combining elements of several popular archetypes-the eccentric logician, the forensic investigator, the hard-boiled interrogator, the psych… ological profiler, the defender of justice. This critical study examines the Fortune stories in the context of other popular detective fiction of the era. Bailey's classics are distinguished by well-clued puzzles, brilliant sleuthing, vivid description and social critique, with Fortune evoking images of Don Quixote and the Arthurian Knights in his pursuit of truth and justice in an uncaring world.